Most difficulties within companies can be traced back to problems between people. “the Behavioral Blueprint” is a how-to book for individuals who face cooperation challenges in their daily lives (either at work or in private lives). Apart from helping readers to understand themselves, the book also offer step by step guidelines that help readers to become effective in their interactions. 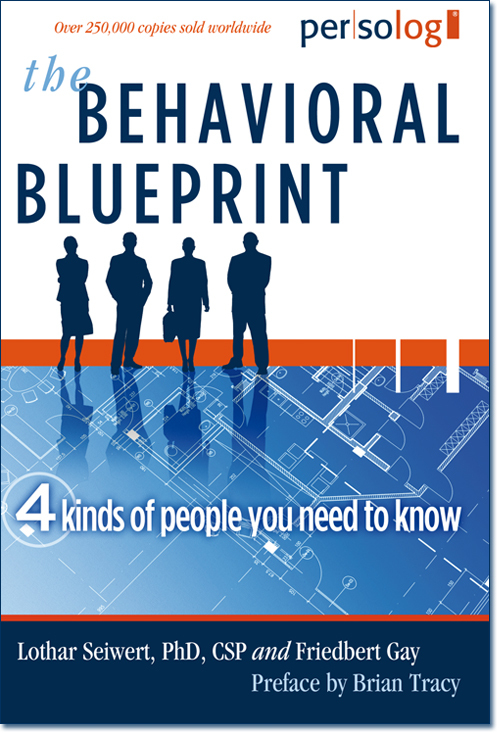 Unlike other Self-Help Books, “the Behavioral Blueprint” appeals a very wide scope of readers. With a single purchase, readers are able to explore the use of the 4 behavioral dimensions (Dominant, Influencing, Steady, Cautious) in areas such as corporate management, sales, relationships, and parenting. Discussed topics such as Time Management, Leadership, and Teamwork are applicable in situations that range from parenting to improving corporate cultures. Brian Tracy, a well known Canadian trainer, made note of his “truly life-changing” experience from the book. In the preface, he goes on to endorse the book as “a classic that will be read, reviewed, discussed, and applied for many years in the future”. Furthermore, the book’s vibrant diagrams and interactive exercises guide readers in discovering untapped potentials that can help them excel. The book also projects positive energy with the use of creative color compositions, section arrangements, and comic illustrations. These features, combined with a corporate themed cover, further illustrate the book’s compatibility with audience ranging from students to corporate managers. “the Behavioral Blueprint” transforms the theoretical approach in behavioral study to something that is applicable in every day lives.